DIY (Do it Yourself) this is a kind of thing which always inspire you to make something unique and beautiful as per the need. It can be anything, a beautiful DIY gift for any occasion, a DIY furniture for the particular place in the home, Hairstyles, craft and projects for the festivals, any useful thing for the home. 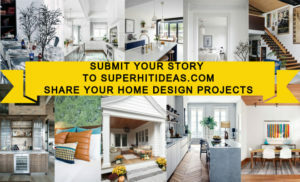 Here at superhitideas, you will get all types of useful and beautiful DIY projects ideas along with step by step direction. Browse the DIY category and find out some awesome DIY projects and craft ideas.